As both writer and director of Incredibles 2 (A), Brad Bird’s mastery of the animated form is on display in delirious grandeur. Far surpassing his original film in wit, creativity and subtext, the auteur has delivered one of the most engaging films of the year. The retro comic book style provides a delightful backdrop for adventure and comedy, with an onslaught of fun flourishes appearing like cinematic confections from whiz!bam!pow! frame to frame. It’s a message movie in superhero disguise, of course, with much to say about gender and workplace, societal obsession with technological screens and protecting equal rights of individuals with unconventional origins. And the sequences with the super-baby discovering his new powers are comic gold. The film is fun from start to finish and showcase’s the filmmaker’s maturity and evolution. Hollywood will be hard-pressed to showcase a more satisfying sequel blockbuster this year. Lee Unkrich’s animated Disney Pixar adventure Coco (B) is alive with vibrant detail in painting a compelling Día de Muertos fantasia of light, color and music. The story of a Mexican boy torn between heeding a duty to family and following his clarion call to become a mariachi musician, the film toggles between Lands of the Dead and the Living in which the young man’s ancestors, sometimes skeletal relatives, help guide him to his destiny. Anthony Gonzalez, Gael García Bernal and Benjamin Bratt are among the voice actors breathing life into wholly original characters. The story starts and ends strong with fun surprises around every turn, even though there’s a long portion in the film’s center that drags with too much exposition. It’s such a breakthrough to secure inclusion of so many specific Latin traditions that the film sometimes seems overstuffed in its own bounty, with superfluous characters and a few too many bells and whistles. Also for a film about music, there could have been more of it, and it could have been better. Ultimately it’s a thoughtful and positive entry into the Disney Pixar kingdom, and it could have only been accomplished via animation. Andrew Stanton’s animated aquatic sequel Finding Dory (B-) succeeds as a message movie about inclusion of characters with disabilities – showcasing a fish with short-term memory loss overcoming the odds – but stumbles in terms of its only mildly engaging protagonist, its flagging adherence to its own intrinsic logic and the lack of originality of its storyline. The film strives to deepen the Finding Nemo saga with Godfather II style flashbacks to back story while Dory searches for her parents but ends up closer to Evan Almighty territory with a minor character inexplicably nudged to the forefront. Despite noted objections, there are still imaginative touches involving the intricacies of a marine life refuge and an amputee octopus with clever camouflaging effects. We know we’re working in a talking animal universe, but there’s a jump-the-shark moment that might be termed invertebrate on the interstate or the mollusk motorcade and simply gets sloppy. Nemo and his dad are rendered rather ineffectual sidekicks while Ellen DeGeneres does what she can to squeeze out the waterworks of the film’s few poignant moments. The first film felt effortlessly entertaining, and this one more of a chore. 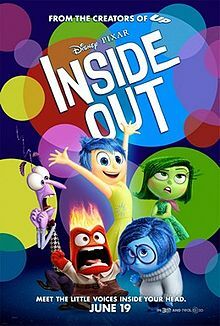 Pete Docter’s animated Inside Out (B) is like a really inventive improv skit that wears out its welcome. It plumbs the goings-on inside a tween’s mind through the antics and skulduggery of five personified interior monologues. Color coded to match the memory marbles that the protagonist is losing, these sensory sprites (Joy, Sadness, Anger, Disgust and Fear) must summon every trick in the book to help the young lady keep it all together when her family uproots from Middle America to the West Coast. TV comedy stars Amy Poehler and Phyllis Smith shine brightest as polar opposites; others such as Mindy Kaling are a bit wasted in underwritten voice roles. The overall conceit is intellectually stimulating as the film ponders how life’s most profound memories graft a combination of laughter and tears. Therapists will have a field day with the insider cognitive references; the rest of us may struggle to remember if the film had any big laughs or payoffs aside from set pieces and set-ups that mildly amuse. There’s a fine line between tickle and treacle. Aside from some delightful sentiment conjured up by the hero’s childhood imaginary friend (Richard Kind), there wasn’t much of an emotional arc. And the characters in the brain are lost a bit too long in the poppy field of forgetfulness as they race to re-unite and provide mental balance for viewers to remember why we’re supposed to care. Disney has done this cranium command before, but Pixar has made proceedings a bit too clever by half. Overall it’s got lots of great qualities but doesn’t quite win best personality. [Note: The animated short Lava that appears before the film is an enchanting take about the ballad of a lonely volcano and made all the better with new immersive Dolby technologies in select theatres]. 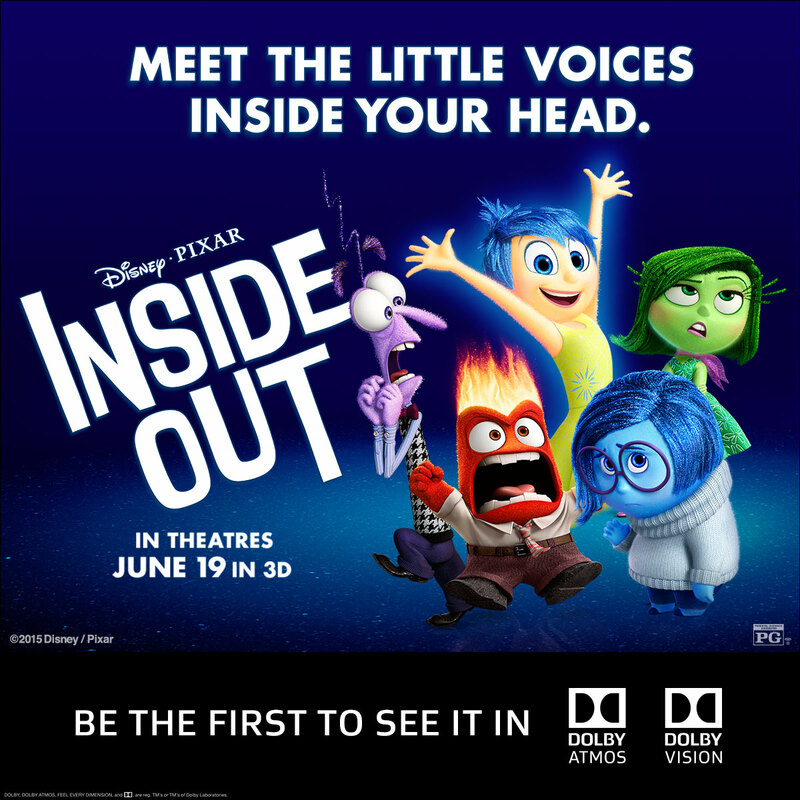 I had the good fortune of viewing Inside Out courtesy of friends at Dolby.  My screening was held at the new Dolby Cinema at AMC Prime now open at AMC North Point Mall 12 in Atlanta. Pete Docter’s Up (A-) is a lovely animated film that peaks in its first ten minutes but then opens up to a variety of rich vistas of imagination. The story of an old man and a kid who drift off in a helium balloon bouquet propelled house to a magical world is a true original. I could have done without the talking dogs and some of the stock villains, but it was mostly gorgeous and moving. Andrew Stanton’s WALL-E (B) is a fantastical futuristic fantasy in which the earth is filled with garbage and a tiny, adorable clean-up robot is awakened from his drudgery by a beautiful girl droid and a chance to blast off into adventure. The lyrical earthboard sequences are far superior to the latter ones, but this is another Pixar original that will have something to offer both kids and adults. Building on a legacy that includes anthropomorphic toys, fish and cars, Brad Bird’s entry into the Pixar universe, The Incredibles (B-) is one of the first to feature human protagonists. Like The Flintstones or The Jetsons, this animated situational comedy features a one-of-a-kind family. Because The Incredibles are all undercover superheroes, there’s a fun dichotomy between domestic bliss and all-out adventure. It’s all pretty fantastical but a touch forgettable, even with all the clever flourishes. Bird includes some deft touches and nostalgic homages, but ultimately I hoped this one would leap more tall buildings with a single bound. Andrew Stanton’s Finding Nemo (A-) is a computer-generated treasure trove of aquatic animation featuring a winning school of voice talent including Albert Brooks as a cantankerous clownfish and Ellen DeGeneres as the forgetful regal tang named Dory. The story centers around losing your community and finding it again and sweeps the viewers along an amazing journey through the world’s oceans. Like the best Pixar films, the humor is double-edged so adults and kids can both enjoy immensely. The faces on fishes obey the rules of film school, so you can truly follow their dramatic and comedic interactions. It’s an epic adventure to cherish. The classic toys that come to life in John Lasseter’s Toy Story (A-) are among the most endearing new creations developed for the screen. Pull-string cowboy Woody (Tom Hanks) and rival-turned-pal astronaut toy Buzz Lightyear (Tim Allen) preside over a pixel playroom of great characters including Mr. Potatohead, Slinky Dog and other favorites come to life. When there’s trouble in toyland, it’s time for teamwork, and the saccharine sweetness never gets too much to turn off adult audiences who are watching with kids. The Randy Newman ballads are a little treachly, but everything else is super-fresh, and Pixar Studios shows why it’s the high-tech hotshot on the scene with 110,064 frames of computer animation that translate into absolute enjoyment.